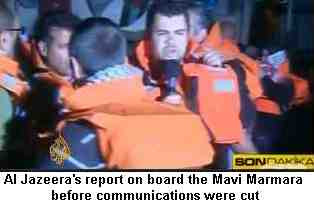 Unbelievable though it is, Israel's armed forces opened fire on unarmed crew members and protesters on board the Mavi Marmara and possibly other ships. 16 are reported dead with possibly 50 wounded. The attack took place in international waters against ships whose only purpose was a humanitarian mission. It will be interesting to see how western leaders attempt to justify the latest murderous activities of their pampered watchdog. How they will explain this away as 'anti-terrorism'. Already the Israeli government has described the Gaza mission as a "provocation intended to delegitimise Israel". It is an indication of the sick mentality of Zionism's defenders that a mission to break a starvation blockade 'deligitimises Israel' but if that is what they feel, then it proves that Israel is indeed an illegitimate state. We shall see how those who weep crocodile tears when it comes to the Iranian government's murder of protesters react to the murderous attack by Israel's navy on an unarmed convoy of ships. And to those who questioned the Goldstone Report's conclusion, this is the proof that Israel's military are murderous bastards and war criminals. The Universities College Union national conference voted today to ‘sever all relations’ with Israel’s Apartheid ‘Union’ Histadrut, as well as boycotting Ariel College, the settler institute in the West Bank. Histadrut began its life in the 1920’s waging a campaign for Jewish Labour i.e. a Boycott of Arab Labur. For the first forty years of its life it refused to accept Arabs as members. 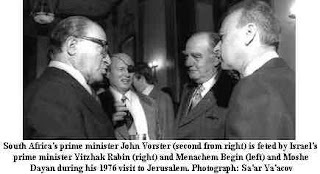 When it did it corralled them into an Arab section – headed by a Jew! When Histadrut was Israel’s second biggest employer, up till the early 1990's, it deliberately didn’t invest in Arab villages or areas. 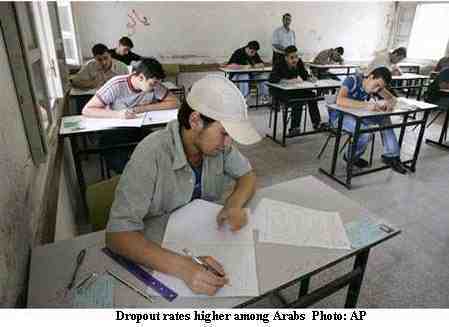 This has consequences today given that Arabs are much more likely to be unemployed. Despite its formal commitment to equality it has never opposed sacking Arab workers to make way for Jewish workers, usually using the spurious excuse of ‘security’. 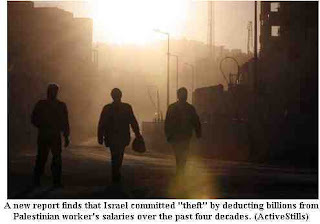 Last year Israel Rail tried to sack all its Arab workers on the grounds they hadn’t done national service in the army! Quite what army service has to do with working on the railways is unclear, but it is well known that Arabs (with the exception of the Druze primarily) don’t serve in the army of a Jewish State. Hence this was a device to sack Arabs in favour of Jews without explicitly being seen to do so. Israel Rail backed off after a fierce international campaign but Histadrut , which represented the Jewish workers, pointedly refused to oppose the racist attempt to sack workers. Likewise Histadrut local organisations and labour councils have been at the forefront of the demand to expel migrant labour in order to reduce Jewish unemployment. Although the Histadrut has given lip service to organising migrant labourers in practice it has refused to do so. What it has done is effectively steal the contributions of Palestinian workers in Israel who it has steadfastly refused to represent in their conflicts with Jewish employers. For more on this see Histadrut Thieves Stole Over One Billion , Jonathan Cook’s article on Electronic Intifada and an article by the Alternative Information Centre in Israel. It should be pointed out though that UCU isn’t the first British trade union to boycott Histadrut. Nalgo, the forerunner of Unison, the public sector trade union, was the first trade union to cut links with this settler union. 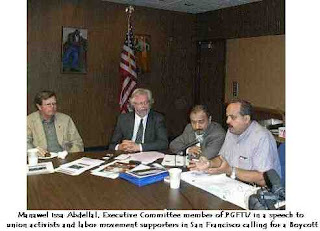 There is no doubt that but for the opposition of Palestine Solidarity Campaign and Bernard Regan, its trade union officer, it would have already adopted the same position again. All this is of course very embarrassing for the Socialist Action/CL factions in British Palestine Solidarity Campaign, whose position is to oppose a Boycott of Histadrut. In the words of Regan, Histadrut is a ‘changed organisation’. A vote on whether to Boycott Histadrut or not wasn’t allowed at the AGM in February after PSC Chair Hugh Lanning fixed the agenda. Rumours that Trade Union Friends of Israel asked Bernard Regan to speak against the successful motion from Brighton University are, we understand, untrue. Since he is not a member of UCU it would not have been possible and guest speakers cannot speak on policy motions. Congratulations to activists in UCU for this magnificent victory. There is a certain irony in the fact that, in their determination to demonise Richard Goldstein, the South African judge who produced a report cataloguing some of Israel’s war crimes in Gaza, Israel’s racist propagandists hold themselves out to be shocked by the fact that in his role as a white judge under Apartheid, Goldstone sentenced at least 2 Black South Africans to death and turned down the appeals of others. The right-wing daily Yediot Aharanot in an article of 7th May 2010 ‘Richard Goldstone - Apartheid's 'Hanging Judge' makes it clear what its agenda is by stating in its opening paragraph that ‘The Goldstone report has been widely condemned as totally biased against Israel.' Untrue. The Goldstone Report has been widely welcomed and it has been condemned only by Israel and the USA. Western governments who have voted against it or abstained have, without exception, failed to come up with any reason not to support it apart from a slavish adherence to US foreign policy. It is because the Israeli government have been unable to criticise its content that they have sought to demonise Goldstone whilst at the same time refusing to hold an independent inquiry into their war crimes in Gaza. No one is pretending that Goldstone is some latter-day saint nor that his role under Apartheid was anything to be proud of. 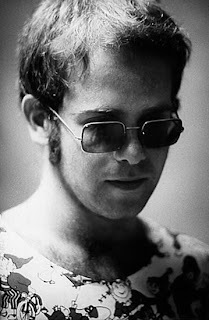 Quite the contrary, he was part of the system of repression. The difference between him and his critics is that Goldstone saw the light and repented, playing an active part in bringing White South Africans to terms with the fact that Apartheid was coming to an end. If Goldstone was responsible for the death by hanging of 28 Black South Africans and other racist judgments that is to be deplored without reservation. But when the motive is the defence of the murder of 50 times that number of Palestinians then one gets the feeling that Zionism should be more concerned about the beam in its own eyes rather than the mote in others. The fact is that Goldstone was a respected member, until recently, of the South African Jewish community. This community was distinguished by its vehement support of Israel and its equally fervent support of Apartheid. 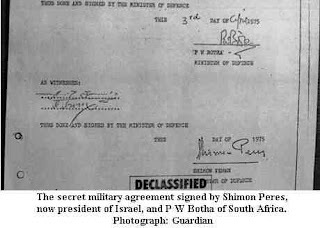 A deal had been done long ago with the Nationalists that in exchange for abandoning their anti-semitism South African Jews would renounce opponents of Apartheid in their midst. People like Joe Slovo were ostracised and they only discovered the black sheep of South Africa’s Jews when Apartheid was coming to an end. I hope to write a short piece coupled with some press cuttings on this subject on a later occasion. 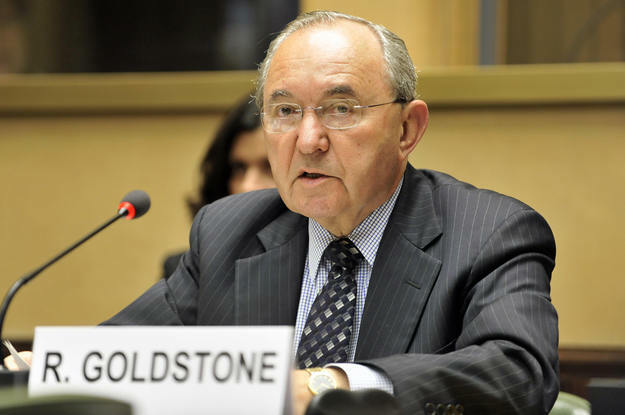 Israel’s hypocritical critics are attacking Goldstone, not because of his role under Apartheid, but because of his Report criticising the Zionists’ massacres and blood-lust in Gaza last year. 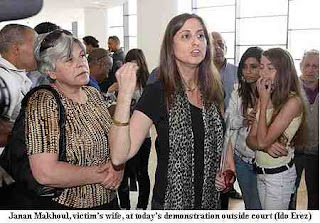 To get some idea of the difference between Israel and South Africa one only has to note that the first massacre of non-violent protestors in South African that came to the attention of the public outside South Africa was the Sharpeville massacre in 1960 when some 70 Black South Africans demonstrating against the pass system were shot dead, most in the back. 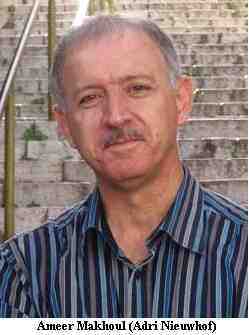 The Soweto massacre in 1976 under John Vorster killed an estimated 5-600 Africans. By way of contrast, in Gaza, Over 1,400 people were killed in one month, including over 400 children. This is the real reason behind Israel’s transparently hypocritical attack on Goldstone, who certainly deserves criticism for his role under Apartheid. But the last people to criticise him should be members of this far-right Israeli government who are themselves dedicated to ruling over the land of the Palestinians whilst denying over 4 million, in Gaza and the West Bank, even a token vote. A ‘democratic’ Jewish society demands that Jews retain a majority, just as the Apartheid ‘democracy’ insisted on Whites doing likewise. But of course these things come to haunt the accuser. Chris McGreal, who has a fine track record when it comes to uncovering the details of Israel’s collaboration with Apartheid has now written another article revealing how Israel, under its current President Shimon Peres (of Nobel Peace Prize fame!) 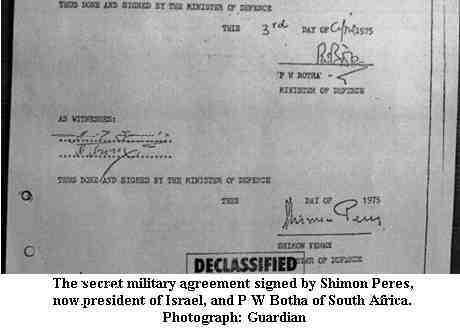 offered the Apartheid regime nuclear warheads for its missiles. At a time when Iran is held to be a threat to peace, it is clear that the reason for US threats has nothing to do with threats to peace and everything to do with protecting US interests. An excellent accompaniment to McGreal’s article is a comment piece by Gary Younge whose title says it all 'Israel's complicity in apartheid crimes undermines its attack on Goldstone'. His sub-title says it all: 'To rubbish the former judge's report on Gaza, Israel has dredged up his record in South Africa – while forgetting its own'. And another equally excellent article is that by Richard Silverstein. I have already covered the arrest of Ameer Makhoul, Director of Ittijah, a group of Palestinian Israeli communities and chair of the Public Committee for the Defence of Political Freedom. This is part of the attack of the current far-right Zionist government on any protest by those they deem an enemy. But as brutal as the Israeli regime is, it is also stupid. Violence and force is its only response. I always hesitate to make predictions but a regime whose first and only resort is to force, coupled by PR, is a regime with a limited shelf-life. And by regime, I don't only mean the current Lieberman/Netanyahu occupancy but the Israeli state, which has been ruled by the same regime under different guises. When Israel's defenders react to what they perceive as the attack on Israel's legitimacy they are right. Israel's legitimacy is under attack and the only seeming defence mechanism left is to kidnap people in the middle of the night, torture them and obtain the consent of a compliant court. It is good to see that Amnesty International has threatened to make him a prisoner of conscience. 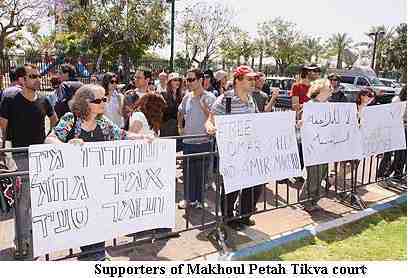 I also recommend Tikun Olam’s article on the arrest and its implications. I have already written about the arrest of Ameer Makhoul and Omar Saeed, both heavily involved in defending the rights of Israel’s Arab citizens. The fact that they advocate non-violent resistance is an additional reason for their arrest as Israel far prefers to deal with those they can label ‘terrorists’. The open use of torture on Makhoul and the naked complicity of the Petah Tikva Magistrates Court in preventing reporting of what has taken place is evidence, were any needed, of the role that Israel’s courts play in supporting the security state and in backing without question their actions. Today is the 21st day since the arrest of Ameer Makhoul at his home in Haifa, Israel, under the cover of darkness, by officers of the International Crimes Investigation Unit and General Security Service (GSS or Shabak). The arrest was conducted in a brutal and terrifying manner. Our house was raided, its contents ransacked and various pieces of equipment and objects of special value to us were confiscated. Violations of our fundamental rights to human dignity and privacy were committed, and physical, verbal and psychological violence were employed against us and in front of Ameer's two daughters. On this day we, Ameer's family, announce that we are extremely worried about what is happening to him and the conditions of his detention. We know that Ameer has suffered and continues to suffer from acute pains in his head, his back and in both of his legs as a result of the severe torture he was subjected to, in breach of his most basic human rights. These include the rights to sleep, drink and eat, and the rights to dignity and not to be exposed to humiliating and degrading treatment. His complete isolation from the outside world, the control exercised over him by the GSS interrogators, and he has been interrogated for hours and days on end without sleep, while in shackles and bound by his hands and feet to a low chair in a way that does not allow him to move. This causes him severe pain, from which he still continues to suffer, resulting in his losing his sense of time and ability to think and concentrate, and in his mental disorientation. These methods are illegal under Israeli and international law. For the past 21 days, the court has refused to allow Ameer's attorneys to read the medical report written by a doctor who visited him twice during the interrogation. It also refused to allow an independent doctor sent from Physicians for Human Rights - Israel (PHR-I) to examine him, as demanded by Palestinian and Israeli human rights organizations, including Adalah, PHR-I and the Public Committee Against Torture in Israel. These refusals raise concerns and questions about the information that the GSS, with the backing of the court, wants to conceal regarding the conditions of his detention and their methods of interrogation. We wonder what the GSS is hiding and why it is stalling. Is it in order to hide signs of the physical and psychological violence it has inflicted upon him? Why has the court given its consent to these procedures? We call on the local and international communities to demand that the Israeli authorities immediately halt this trial, which is based on an investigation in which Ameer was prevented from defending himself in any genuine manner. Ameer has been denied the most fundamental basic human rights to which he is entitled under Israeli and international law. In addition, the independence of the judiciary and democratic freedoms were dangerously subjected to the dictates of the GSS in this case. We greatly appreciate the community, institutional and individual solidarity with Ameer on the local and international levels, and all efforts to defend his freedom. We are aware of the importance of the role played by all political movements and political parties in challenging the circumstances of Ameer's arrest, and this attack against the Arab public and its leadership, and on democratic freedom and human rights. We are also aware that the clear strategic choice of the Arab public in Israel has been and continues to be that of unyielding and legitimate political struggle. The fact is that Ameer Makhoul does not belong to any specific political party. Rather, he reserves for himself an independent position, which is a clear indication that the main target of this attack is the Arab Palestinian public and their leadership, their rights and freedoms. Defending the freedom of Ameer and his rights as a detainee, and rejecting incitement against Arab citizens in light of his detention, are not an individual or class issue, but a national, democratic mission. The real indictment is against the GSS and the Israeli establishment, which are trampling on democratic freedoms and human rights and resorting to illegal methods of interrogation and torture. 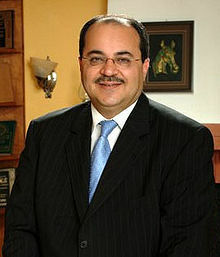 Janan Abdu is the partner of Ameer Makhoul. Issam Makhoul is brother of Ameer Makhoul. Ameer Makhoul, Director of Ittijah, a coalition of Palestinian Israeli Community Organizations, was arrested three weeks ago from his home in Haifa. Makhoul was unable to see his lawyer for the first weeks of his arrest and now his lawyers and his family, having seen him, assert that he has been tortured. Makhoul has not yet been charged with any crime, but the Israeli government is clearly paving the way for his indictment soon, and in the process using extreme, though vague, language about “security” concerns designed to repress any public questions about Makhoul's treatment. Seen as part of a long line, in the past year, of arrest and persecution that includes Ezra Nawi (who went to jail on Sunday for protecting a Palestininan home from destruction), the campaign against the NIF and human rights organizations in Israel, the arrests of Jamal Jum'a and Mohammed Othman, and the ongoing arrests and raids and arrests in villages like Bil'in and Ni'alin, it is clear that Israel's strategy in the face of its human rights violations and crackdown on dissent, is to attack, persecute, and attempt to destroy those who speak out. Today is the 21st day since the arrest of Ameer Makhoul at his home in Haifa, Israel, under the cover of darkness, by the International Crimes Investigation Unit and General Security Service (GSS or Shabak) officers. The arrest was conducted in a brutal and terrifying manner. Our house was raided, its contents ransacked, and various pieces of equipment and objects of special value to us were confiscated. Violations of our fundamental rights to human dignity and privacy were committed, and physical, verbal and psychological violence were employed against us and in front of our two daughters. On this day we, Ameer’s family, announce that we are extremely worried about what is happening to him and about the conditions of his detention. We know that Ameer has suffered and continues to suffer from acute pains in his head, his back and in both of his legs as a result of the severe torture he was subjected to, in breach of his most basic human rights. These include the rights to sleep, drink and eat, and the rights to dignity and not to be exposed to humiliating and degrading treatment. His complete isolation from the outside world, the control exercised over him by the GSS interrogators, and his interrogation for hours and days on end without sleep, while in shackles and bound by his hands and feet to a low chair in a way that did not allow him to move, causing him severe pain, from which he still continues to suffer now, all resulted in his losing his sense of time and ability to think and concentrate, and in his mental disorientation. These methods are illegal under Israeli and international law. Until today, 26 May, the court refused to allow Ameer’s attorneys to read the medical report written by a doctor who visited him twice during the interrogation. 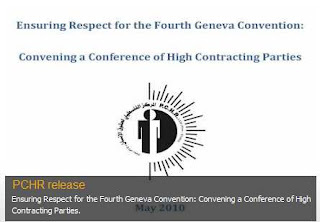 It also refused to allow an independent doctor sent from Physicians for Human Rights – Israel to examine him, as demanded by Adalah, Physicians for Human Rights – Israel and the Public Committee Against Torture in Israel. These refusals raise concerns and questions about the information that the GSS, with the backing of the court, wants to conceal regarding his conditions of detention and their methods of interrogation. What, we wonder, is the GSS hiding and why is it stalling? Is it in order to hide signs of the physical and psychological violence it has inflicted on him? And why has the court given its consent to these procedures? What particularly worries us is that Ameer continues to complain of acute pains, and his eyesight has deteriorated, which has compelled him to ask for a stronger pair of glasses. The question is how and why this severely diminished eyesight was caused during his detention, and what the methods of interrogation were that led to this deterioration and to the pains he is complaining of. The bigger questions are: What is the Israeli security establishment trying to cover up? Why is the court colluding with the GSS and concealing the conditions of detention and methods of interrogation/torture that have been used against Ameer? Why did the court block the publication of the details of Ameer’s affidavit as it relates to the illegal methods of interrogation used against him, and which he spoke of before his lawyers in his initial meeting with them, held after around two weeks of being banned from access to legal counsel? We call for demands on the Israeli authorities to immediately call off this trial, which is based on an investigation in which Ameer was prevented from defending himself in any genuine manner. 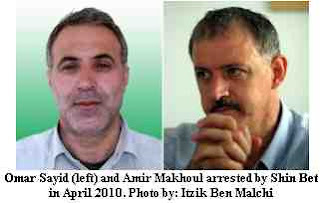 Ameer was denied the basic human rights to which he is entitled under Israeli and international law. The independence of the judiciary and democratic freedoms were dangerously subjected to the dictates of the GSS in this case. We greatly appreciate the community, institutional and individual solidarity with Ameer, local and international, and all efforts to defend his freedom. We are aware of the importance of the role played by all political movements and political parties in challenging the circumstances of Ameer’s arrest, and this attack against the Arab public and its leadership, and on democratic freedom and human rights. We are also aware that the clear strategic choice of the Arab public in Israel has been and continues to be the that of unyielding and legitimate political struggle. Is 'Refugee Rights' a Hamas Flag of Convenience? There are those who say that in the face of the Zionist siege and Israeli attacks on Gaza, we should not comment on or even publicise internal divisions amongst Palestinians. What this effectively amounts to is silence over the oppression of Palestinians by Palestinians in the cause of the greater goal of liberation from Zionism. What it also guarantees is that the yoke of oppression will never be lifted from the vast majority of Palestinians. This has been the same story the world over with decolonisation. People, especially the Communist Party, kept quiet about Saddam’s repression of trade unionits, Khomeini’s murder of thousands of leftists, Mugabe’s slaughter of 20 Ndebele, until of course ‘liberation’ turns out to be as bad as the original oppression the liberation movement fought against. So we should take note of the report below from the Palestinian Centre for Human Rights about how some 30 armed gunment deliberately set fire to and attacked a summer games camp for Palestinian children. Presumably the children of Gaza haven’t suffered enough and they need the austere barbarians of Islamic Fundamentalism to keep any moments of joy from them. So we should say it quite clearly. Whoever did this is merely perpetuating the work of the Israeli army and the Zionists. Where Israel left off, the barbarian Islamic Fundamentalists took over. And it doesn’t take a genius to work out that Hamas, which has itself been repeatedly criticised for its attempts to follow a similar agenda, is probably implicated in what happened. In its statement it manages to condemn the attack but reserves most of its criticism for UNWRA for exaggerating what happened. There is no hint that Hamas intends to take action against the group, yet 30 armed gunmen outside roaming around engaging in an attack on the civilian population, doesn’t seem to disturb it unduly. It would appear that Hamas is not unsympathetic to the aims of the group. Of course they could always prove us wrong by bringing to justice these Islamic fascists. the attack, which constitutes part of the state of security chaos and misuse of weapons plaguing the Occupied Palestinian Territory (OPT), and bring the perpetrators to justice. According to investigations conducted by PCHR and the testimony of the camp guard, Ibrahim Kamel 'Eleiwa, at approximately 2:30 on Sunday, 23 May 2010, a large number of masked gunmen broke into the UNRWA camp designated for the summer games at the beach in the Sheikh 'Ejleen area in the west of Gaza City. They attacked the guard with gun butts, handcuffed him and took his mobile phone. They then began damaging the contents of the camp, tearing down the canvas walls and setting fire to the equipment used by children. Before they left, one of gunmen put a letter and three bullets in the pocket of the handcuffed guard. The letter included a threat against three UNRWA officials, including John Ging, Director UNRWA Operations in Gaza. At approximately 5:00, the supervisor of the camp arrived with an interrogator, who inspected the area and took the guard to the police station for questioning. 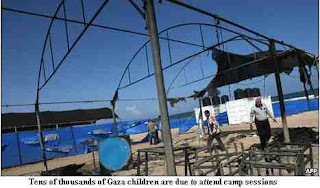 It should be noted that UNRWA began holding summer games, which target children aged 7-15 in the summer of 2008. 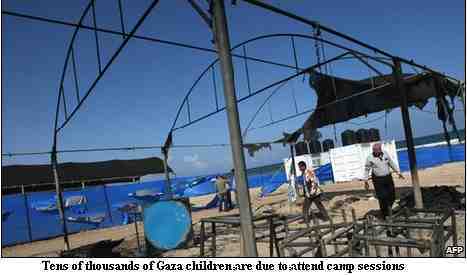 The camps have been held at UNRWA schools and at camps on the beach and included sport and art activities. The camp that was targeted this morning consists of nine sites, each of which stands on a 2-donum area of land, forming a total area of 18 donums. Each site offers services to a total of 500 children during two separate morning and afternoon periods. The camp serves 4,500 children every two weeks. It was decided that four camps were going to be held this summer in order to serve 18,000 children in addition to providing job opportunities for 540 persons. 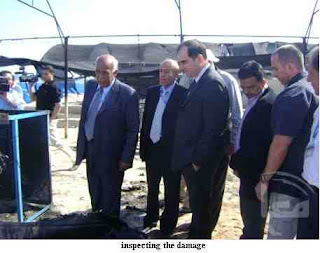 The first camp was scheduled to commence on 12 June 2010.
asking: "You, government of Gaza, what is your attitude towards these criminal acts?" 6. Emphasizes the importance of the rule of law and completely rejects the notion that any party can claim to be the guardian of morals and values of this people, and carries out whatever attacks it deems appropriate, as such actions constitute the epitome of security chaos and misuse of weapons. Bethlehem - Ma'an - A group of 30 armed and masked men attacked and set fire to an UNRWA recreation facility on Gaza City's beach front on Sunday, the UN body said in a statement. 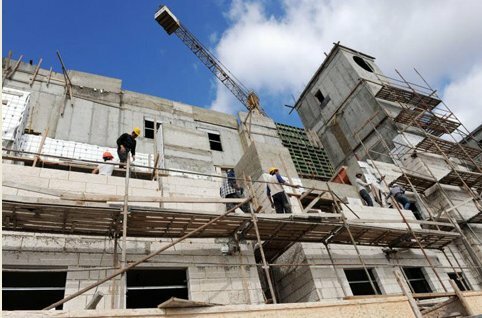 The location is one of 35 beach facilities under construction, which will form part of UNRWA’s annual Summer Games program for over 250,000 refugee children in Gaza, due to commence on 12 June, the statement read. UNRWA's summer games, conducted for the fourth year with the full support and involvement of the community is the largest recreation program for Gaza’s children providing a diversified set of activities including sports, swimming, arts and crafts, theater and drama. "It is of immense physical and psychological importance for children who would otherwise have no other similar recreation opportunity," the statement read. The security guard at the construction site said the masked gunmen handcuffed him before they threw him out and began torching tents and destroying billboards and water tanks. Then they gave him a letter demanding that he passes to police detectives. The letter, according to the guard, threatens to harm Ging and two other UNRWA employees. “They painted three bullets, indicating that all three people will be shot,” he said. In a separate statement, an apparent far-right group calling itself Refugee Rights said the Summer Games 2010 cost 20 million US dollars and would teach Palestinian school girls to swim, dance, and other "impudent practices." The group further alleged that international employees in Ging's office receive salaries up to 20,000 US dollars per month "which is equal salaries of 30 local Palestinian teachers at UNRWA schools.” They described that as waste of money which belongs to the Palestinian people. “We appreciate UNRWA services as evidence that the international community has responsibility towards the Palestinian people who are still denied return to their homeland. However, we announce refusal of some policies and decisions taken recently by the administration of the UNRWA in the Gaza Strip. Of most importance was the intermingling of boys and girls at school under the pretext that girls have better capabilities,” the statement added. The group further said it denounced UNRWA's scheme allowing Palestinian students to visit foreign countries "because this is normalization with Israel since those students meet with Israeli or Jewish students abroad." The Hamas government condemned the attack on the UNRWA site, vowing to pursue the perpetrators. De facto government spokesman Tahir An-Nunu told reporters that the government was disappointed with the statement issued by Refugee Rights threatening to harm UNRWA officials, applauding Gings efforts to end the siege on Gaza and UNRWA's decades of support for the Palestinian people. However, the Gaza-based Interior Ministry described UNRWA's statement as an "exaggeration" of the damage caused in the incident, asking the UN body to "check well before releasing overstated comments." 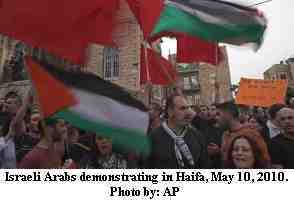 The achilles heel of supporters of Two States, as well as Zionists, is the question of the Arabs in Israel. Two States supporters usually prefer, like Britain’s Palestine Solidarity Campaign to turn a blind eye and a deaf ear to the problem. For the Zionists, as the recent Reut Report makes clear, this is also a problem, but one of presentation and 'legitimacy'. Because despite the loud proclamations of the Zionist propagandists that Arabs are equal, the fact is they are not – from land allocation to education to budgetary allocations. Perhaps two statistics stand out. According to the Association for the Advancement of Civic Equality in Israel the infant mortality rate in the Arab sector is 8.4 babies per 1,000 births, the rate among the Jewish population is 3.6 babies per 1,000 births. Likewise the report from the Israel charity Sikkuy shows that 65.7 percent of Arab children live below the poverty line, as opposed to 31.4 percent of Jewish children. This is the real meaning of Israel’s fabled ‘equality’ for its Arab citizens. Ahmad Tibi, a member of Israel's parliament, talks about why he thinks democracy in Israel applies only to Jewish citizens, why he'll never accept Israel as a Jewish state and why he'll never leave. As one of Israel's few Arab lawmakers, Ahmad Tibi knows how to fight to be heard, even when colleagues don't want to listen. 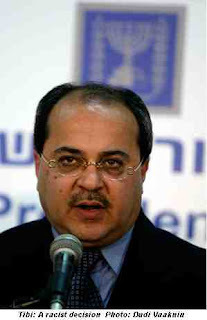 That determination was never clearer than last month when Tibi, a top political advisor to PLO chairman Yasser Arafat before being elected to the Knesset in 1999, refused to yield the floor during a particularly acrimonious debate. Escorts were summoned to pry his white-knuckled hands off the lectern and lead the 51-year-old away. Tibi, a former gynecologist, hasn't lost his sense of humor. On his office walls is a newspaper cartoon of him bound and gagged on the Knesset floor. On a top shelf is a row of fat binders, including one titled "Dead Ends." He spoke with the Los Angeles Times about why he thinks democracy in Israel applies only to Jewish citizens, why he'll never accept Israel as a Jewish state and why he'll never leave. I tried it three months ago with a motion that said simply the allocation of land by the state should be equal for all citizens. I didn't mention "Jewish" or "Arab" citizens. Automatically the vast majority of the Knesset voted against me. Any motion with the principle or word "equality" will fail. There is not one basic law in the Knesset talking about the value of equal rights. Every Knesset I try to pass it. A recent poll found half of Israeli kids don't think Arabs should serve in the Knesset. What does that say to you? There is a continuous delegitimization campaign against us. We are described as betrayers. But I can't betray something I'm not part of. I'm not part of the army. I'm not part of the Zionist ideology. I'm a victim of Zionism.... It's inhumane to demand that we be loyal to Zionism or accept Israel as a Jewish state. I can't accept a definition that strengthens the discrimination against non-Jews in Israel. You don't accept Israel as a Jewish state? I want it to be a state of its own nationalities, and the Arab minority to be recognized as a national minority. Israel is, according to the law, defined as a Jewish and democratic state. But there is a contradiction between the two values. If you are democratic, you should believe in equality. But if you define the nation by a Jewish ethnicity, you are saying any Jewish person is superior to a non-Jewish person. How you do define yourself? I'm a Palestinian-Arab citizen of Israel. We are part of the Palestinian people but citizens of Israel. You gave an impassioned speech in January, acknowledging the Jewish suffering in the Holocaust. 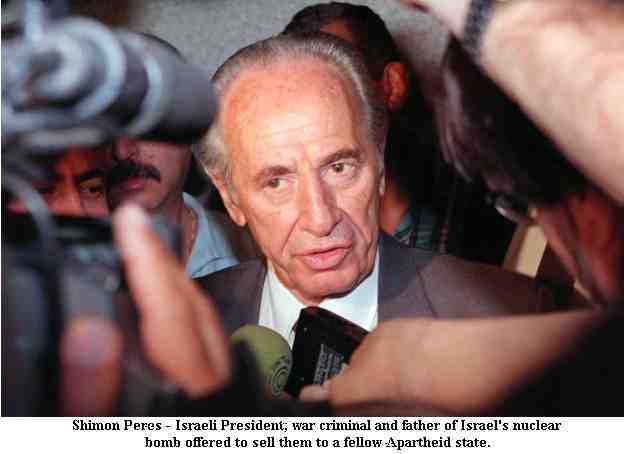 It was praised by some as one of the best ever delivered in the Knesset. Were you surprised by the reaction? Did it have any lasting impact on relations? There was overwhelming positive reaction, most importantly, from Jews and Arabs alike. I said, we as Arabs are listening to your historical suffering and pain. I have empathy. You were victims. Now we [Palestinians] are victims of the victims. I wanted them to try to understand our agony and suffering. Those who have suffered so much in the past should be the first to listen to the pain of a Palestinian woman in Gaza. Yet they are not. They are encapsulated by their pain and history. Even when Israelis send a tank to [the West Bank city of] Nablus, they promote the idea that it's Palestinian aggression. So even when we are the victims, they market themselves as the victim. They occupy this square of victimhood everywhere. Arab MKs would seem to be a natural bridge in Israeli-Palestinians peace talks. But you're rarely at the forefront of that. Why not? [Israel] doesn't want this bridge. They view us as a fifth column. The Arab minority is being dealt with as an enemy. They treat us like guests in our own country. If an independent Palestinian state is formed, where would you choose to live? I'm a native of Tayibe, and that's part of the state of Israel. I take my citizenship seriously. I want to improve my citizenship in order to be equal. I don't want to be removed or treated like a chess piece. I don't want anyone deported from Israel. But if someone has to leave, it should the ones who arrived last. The lifespan of Israeli Jews is four years longer than that of Arabs, a new report revealed Wednesday. The report was composed by the SIKUI organization which monitors the situation of Arabs within Israel vis a vis their civil and human rights. The report, which presents the past year’s data, displayed a somber picture, indicating that not only has no improvement been made, but some of the gaps between the two populations have grown. For instance, the gaps in infant mortality rates are significant showing that in 2007, 8 Arab babies died for every 1,000 births and amongst the Jews, 4 babies died for every 1,000 born. The report also showed that 65.7% of Arab children live under the poverty line while 31.4% of Jewish children do. Moreover, “The country’s welfare investment in Jewish citizens is NIS 508 ($160) on average as opposed to 348 shekel ($110) on Arabs,” the report said. One gap that became smaller was in the realm of education. The gap in those eligible to take the matriculation exam reduced and also that in the percentage of dropouts. However, a large gap still exists between the two populations in graduation percentages. Eight percent of Arab students do not graduate while only four percent of the Jewish population never completes high school studies. On Thursday, the Israel Government Action in the Arab Sector committee is going to meet to discuss various issues. Prime Minister Ehud Olmert is to speak at the end of the meeting. Let us not beat about the bush. 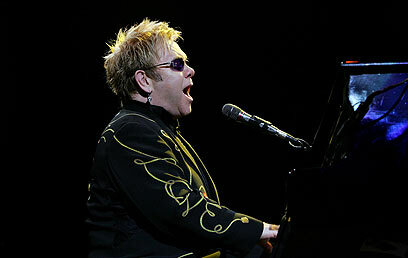 Elton John played in South Africa’s Sun City despite the Boycott of Apartheid South Africa. 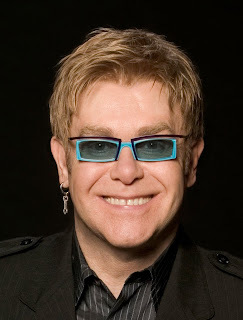 Elton John has made it clear that he is equally determined to play in the Apartheid State of Israel. Why? Because all his ‘gay politics’ are self-centred. His is a lifestyle form of politics. In effect he asserts the right to be equal oppressors with heterosexuals, just like the Blair Babes only objective was to have the equal right to be racists and oppressors. With Gil Scott-Heron and now Elvis Costello showing the way, Elton John has obviously decided that his £¼ million flower addiction needs bolstering with the dirty money of racism. Below is an excellent letter from BRICUP, British Universities for Palestine. Signed by four professors, all of them Jewish, it demonstrates a controlled anger at Elton John’s attempt to pretend that he is above such matters as whether or not a Palestinian child goes thirsty in the West Bank because the settlers have all the water and his parents cannot afford any. It’s funny how people can be close friends, and yet react so differently to things. You’re apparently close friends with Elvis Costello – so close you hosted his wedding to Diana Krall at your ‘castle’ in Windsor. 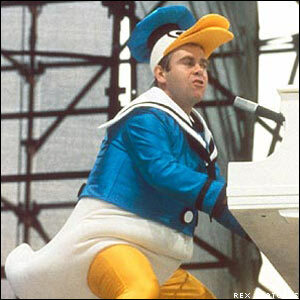 After just three weeks of people appealing to Elvis Costello not to perform in Israel, he’s decided not to go. (His thoughtful statement is here). But months down the line from our first letter to you, with hundreds, if not thousands, of your fans appealing to you to cancel your gig in Tel Aviv (including Canadian film-maker John Greyson) you remain silent. Of course you have every right to do so. But we’re wondering what this silence means. who’ve sought refuge in Israel back to the Occupied Territories. So much for Israel being ‘gay-friendly’. Palestinian gay rights activist Haneen Maikey (an Israeli citizen) says, ‘It’s really pathetic that the Israeli state has nothing besides gay rights to promote its liberal image. Ridiculous, and in a sense hilarious, because there are no gay rights in Israel’. To the Israeli state she says, ‘Stop speaking in my name. If you want to do me a favour, stop bombing my friends, end your occupation, and leave me to rebuild my community’. to a concert schedule may be interpreted as a political act…and it may be assumed that one has no mind for the suffering of the innocent’.